DEPOSIT AND/OR AN OFFICIAL ORDER IS ACCEPTANCE OF OUR TERMS AND CONDITIONS. Acceptance: Payment of quote and or official accepted recognized order. 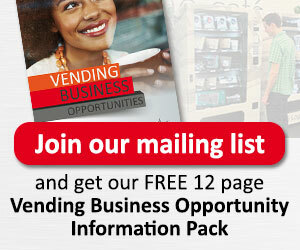 All goods remain the property of A-Z Vending Solutions (Pty) Ltd (herein referred to as VS) until paid for in full. Subjected to approval by Vending Solutions (Pty) Ltd, Any cancellations of paid deposits or orders will be charged a minimum of 30% administration fee of the total amount of the value of goods invoiced. All transportation / Courier costs relating from returns of goods, strictly for customers account or deductible from customers credit of goods returned. Subjected to approval by Vending Solutions (Pty) Ltd, and based on conditions and positive proof provided that, goods supplied are un-opened , un-installed and without any damage whatsoever within a period of 7 days, goods can be retuned for credit / re-funded with an applicable admin / handling fee of (15%)of the value of the goods invoices. All transportation / Courier costs relating from cancellations / returns of goods, strictly for customers account or deductible from customers credit of goods returned. A rate of prime plus 5% per annum will be charged on all monies outstanding and payable to VS. All goods remain the sole property of Vending Solutions until fully paid for. Machines will only be delivered and installed ten to twenty working days after full payment has been receipted and/or placement location confirmed. Due to most equipment being manufactured outside the borders of South Africa and then imported, longer lead times can be expected on certain nonstandard stock items. Special imports lead times are as per manufacture and transporter lead times. Each new machine carries a 2 year warranty on all mechanical working parts, 90 days on labour and 2 years on the refrigeration unit (if applicable), electronic components, coin validator and note readers. All new machines have a 5 year vend motor warranty. Each refurbished/used machine carries a 1 year warranty on all mechanical working parts, 30 days on labour and 6 months on the refrigeration unit (if applicable), electronic components, coin validator and note readers. All refurbished/used machines have a 2 year vend motor warranty. Each coffee machine carries a 1 year warranty on all mechanical working parts, 90 days on labour and a 2 year vend motor warranty. Each water cooler carries a 1 year warranty on all mechanical working parts, 30 days on labour and a 90 days on filters. All technical spares and components supplied by VS come with a warranty for a period of 90 days. All technical workmanship carried out come with a warranty of 14 days from the date of work completed. Technical warranty excludes any damage resulting from vandalism, negligence, incompetence or exposure to adverse weather conditions. purchaser wish to avail himself of the advertising revenue. The above warranty is applicable unless otherwise stipulated in writing on official quotation. All warranties only apply to machines sold and installed within the Republic of South Africa. We will refund or exchange most goods if you return them within 7 days of purchase. However, the goods must still be in their original condition and packaging and you may not have used them at all. If you purchased these you need to provide your original invoice. All consumable goods are subject to individual manufacture warranties. Please consult label of product for details. All movements will be charged at rates as prescribed by the VS technical department. Please note that VS does not provide insurance during the period your machine is being relocated/moved and is therefore not liable for any unforeseen damage that may occur. Please don’t hesitate to contact us for our updated terms and conditions. Please note that whilst every possible care will be taken to ensure a successful movement, A-Z Vending Solutions (Pty) Ltd does not accept any responsibility for the machines, during the movement of the machines or whilst in our possession nor does A-Z Vending Solutions (Pty) Ltd accept any responsibility for damages of any nature occurring to the sites during the moving process. The onus lays with the owner of the machine/s to ensure that all products (stock, etc.) are removed prior to the machine being moved. Note readers and coin mechanism must be secured and notes and coins must be removed prior to the machine being moved. Insurance for the machine/s is the client’s responsibility. Whilst every effort is made to ensure that machines are placed on suitable locations Vending Solutions cannot guarantee the sales from any particular location. Should you make use our location services and your location does not prove to be viable within a six month period from date of installation we will gladly provide one additional location at no extra cost. Please be advised that the cost of the physical move of the machine would have to paid for. Whilst we endeavor to provide you the best possible locations for your business, we cannot in any way guarantee the success of the location. Nor do we in any way whatsoever warrant the income to be generated by the vending machine on any locations provided by ourselves. Your individual commitment to running your business is paramount to the success. We reserve the right to change our terms and conditions periodically from those stated above. These terms and conditions are subject to change without notice, from time to time at our sole discretion. © VENDING SOLUTIONS 2015. ALL RIGHTS RESERVED. E&OE.